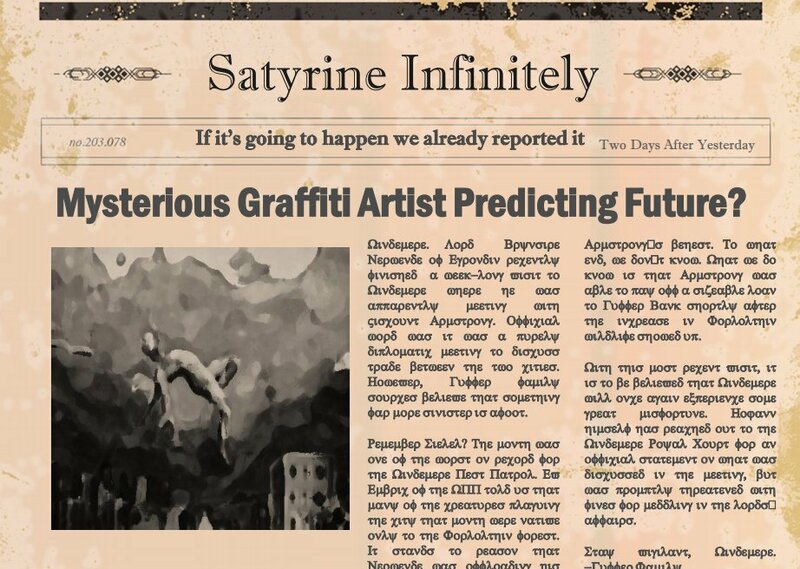 Satyrine Infinitely (SI) is Satyrine’s longest standing news organization. Generally held as a reputable and reliable source for news, SI does however have its detractors. Those detractors point to the questionable partnership between SI and Verity Corporation. The newspaper’s tagline is “If it’s going to happen we already reported it.” According to company documents this tagline has been in place since before the establishment of the organization itself.